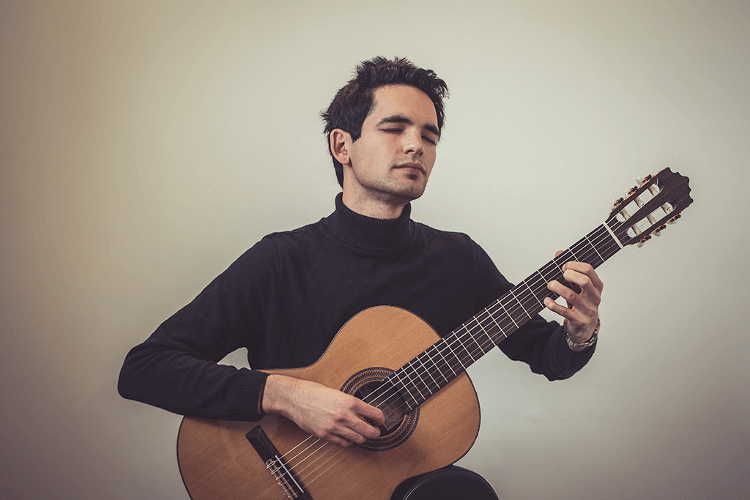 Classical guitarist Kieran Andersson has a wonderfully rich, encompassing sound and perfect for a variety of performance settings. 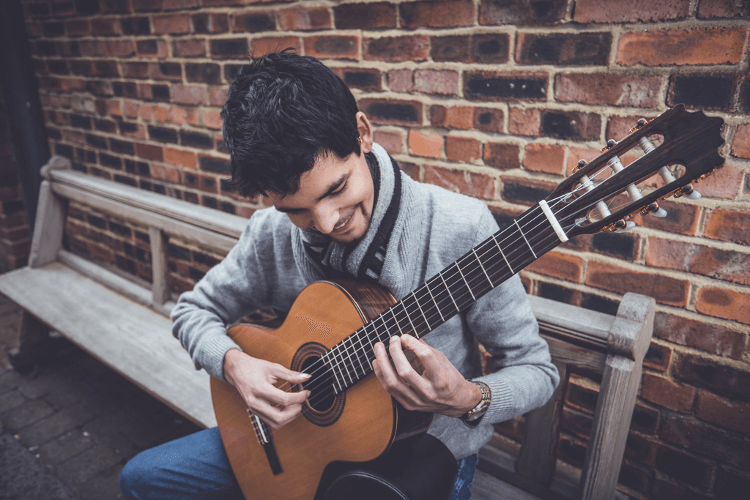 His intelligent arrangements of tunes from classical, popular, Latin and jazz music are suited to occasions such as church ceremonies, wedding receptions and private parties. Kieran is an award winning soloist and has been performing around the country since 2014, with notable performances at The Royal Festival Hall, Leeds Town Hall and Saffron Hall. He has worked with respected UK musicians such as Marc Almond, Lianne Carroll and also the National Youth Jazz Orchestra of Great Britain and Northern Ireland. Kieran is a musician trained to the highest level, meaning he is able to accommodate special requests for your occasion. This might be for walking down the aisle or a first dance tune. Completely self-contained and able to perform both indoors and outdoors, his music will add an extra layer of class to your event. 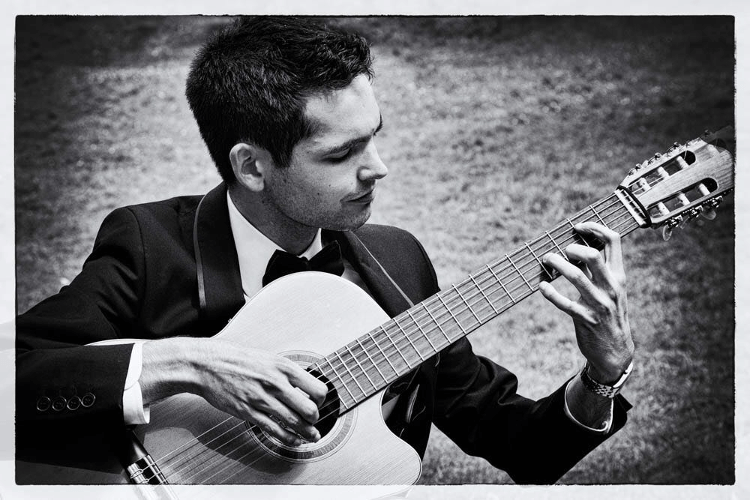 Experienced classical guitarist ideal for weddings, parties and corporate events. Wide repertoire of classical, popular, Latin and jazz music. Can accommodate special requests for clients. Able to perform both indoors and outdoors. Complementary recorded music during intervals. "We would like to express our wholehearted thanks to you for providing the perfect musical backdrop to our wedding reception. Many of the guests commented on how much they enjoyed your performance. We were impressed with your professionalism and flexibility in helping us to choose the repertoire. We hope you enjoyed the day as much as we did." "We had Kieran play at our wedding in April 2017. He was very helpful in suggesting songs, as well as being willing to learn specific pieces which we had requested. We and our guests really enjoyed the performance, which was of a very high standard. We were also grateful for his flexibility when the timings of the performance were different from expected. We would highly recommend Kieran to anyone looking for a musical performance at their event"